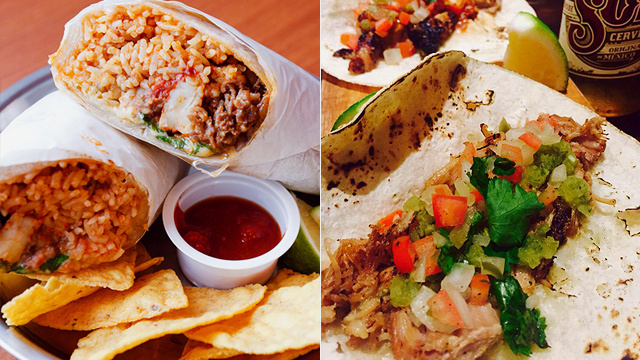 (SPOT.ph) Admit it: Many Filipinos are crazy over Mexican food. Whether it’s Tex-Mex or Fil-Mex, any dish or food establishment laced with the word “Mexican” is a guaranteed hit. Although the reasons behind this deep-rooted obsession are still unclear and speculations abound, one thing’s for sure: This epicurean fixation isn’t dying soon. 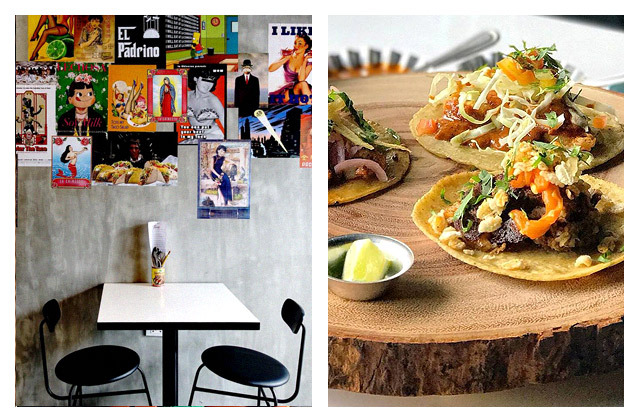 Here, we round up the best places in Manila where you can get your Mexican food fix. ¡Ándale, ándale! What used to be a silent Mexican joint in then-unchartered Poblacion is now the biggest name in the neighborhood. El Chupacabra is an offshoot of the Mexicali group of restaurants, along with other diners such as El Cabrito and currently defunct El Hijo de Cabra. Open until 2 a.m. daily, it serves inexpensive beer and a mixture of traditional and novel Tex-Mex flavors. Meanwhile, El Chupacabra’s lively atmosphere kindles a street festival vibe thanks to the upbeat Makati crowd. Friday nights are often jam-packed so we suggest you go early if you want to sample their irresistible and savory soft-shelled tacos! 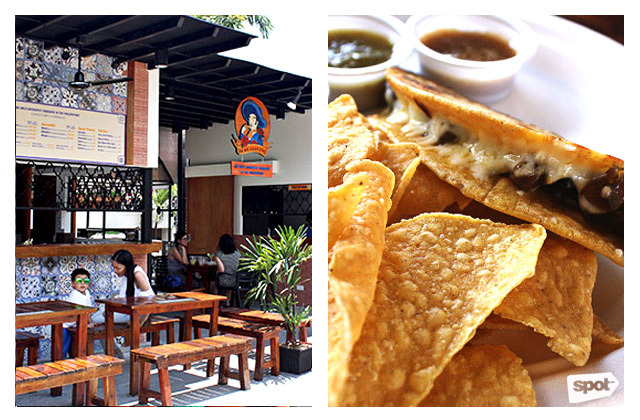 El Chupacabra is at 5782 Felipe Street, Poblacion, Makati City. 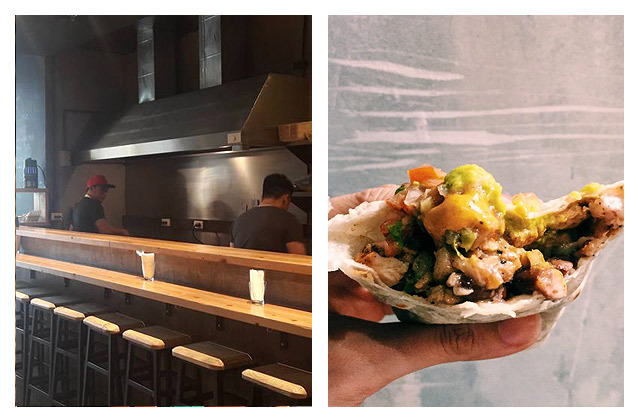 If we’re talking about humble beginnings, then Taco Vengo can very well provide clear evidence of it. The restaurant, which started in a tiny container van in Kapitolyo, is now sitting alongside the gastronomic heavyweights of SM Mega Fashion Hall. However, we would recommend Taco Vengo to non-purists as their menu veers away from classic Mexican fare due to their strong Asian influences. Their Honey Soy Chicken Burrito is an unusual take on the rice-laden hand-held snack, where a tender grilled chicken is bundled with tart kimchi slaw, rice, and a dollop of earthy soy bean paste. Taco Vengo has branches at UG/F Building A, SM Megamall, Mandaluyong City; and 16B Williams Street, Pasig, Highway Hills, Mandaluyong City. Another dependable choice is Lágrima, which strives to be as authentic as the taquerias in Mexico. Robust flavors are the star here even if their monochromatic and minimalist interiors are a far cry from the bold colors and Spanish-style elements of Mexican architecture. 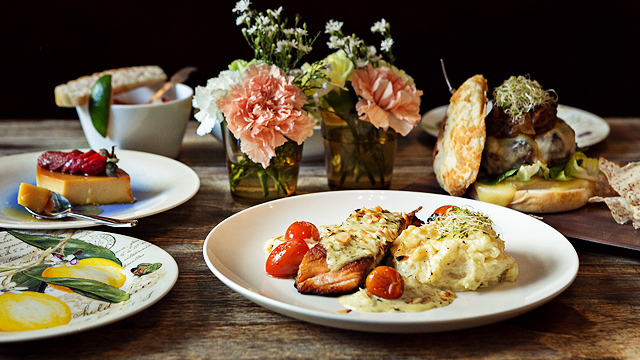 Their dishes shouldn’t be missed because they make each of them from scratch daily. On the other hand, Lágrima’s honest-to-goodness Mexican fare are considered among the best in town. Lágrima is at BSA Mansion, Benavides Street, Legazpi Village, Makati City. Mexican food fanatics won’t be disappointed with this discreet taco haven smack in the middle of City Golf Plaza in Ortigas. 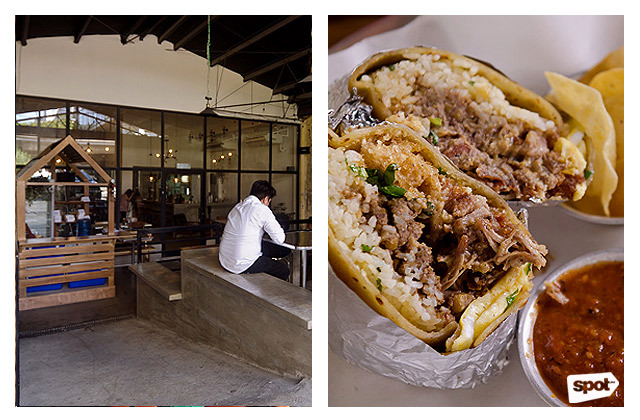 Lo de Alberto's al fresco dining area makes for a laid-back vibe that matches their no-frills street food. Below their animated logo is a sign that says, “The only authentic taqueria in the Philippines.” And much like head chef Balam Nazar’s classic recipes of, say, the chillaquiles and quesadilla, Lo de Alberto’s take on the horchata is a well-executed one. The nuttiness of the sweet iced rice drink is then elevated by a dash of cinnamon powder—have this with a taco or for dessert, whatever it is, you won’t regret it. Lo de Alberto is at City Golf Plaza, Doña Julia Vargas Avenue, Ugong, Pasig City. La Chinesca is the brainchild of Chef Bruce Ricketts, otherwise known as the young creative who brought sought-after restaurants Ooma and Mecha Uma to life. It is, arguably, one of the hottest Mexican joints in the Metro and we can see why. On one side of the room is a wall of eye-catching posters, modified to fit the playful vibe of La Chinesca. Despite the number of taquerias surrounding the area, this 19-seater restaurant stands out through their sheer quirk, which also reflects on the food. Their soft corn tortilla tacos are a winner, especially when paired with a cold bottle of beer. 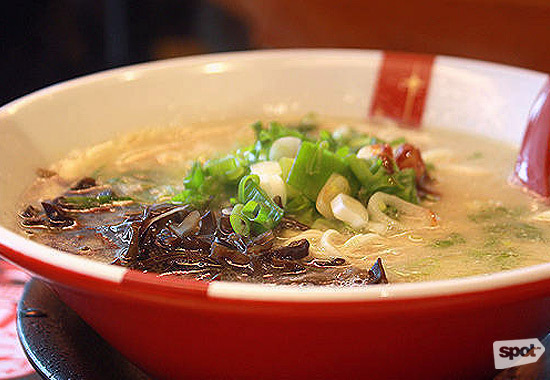 This restaurant is a perennial go-to of McKinley Hill residents and nearby office-dwellers. Apart from B&T Mexican Kitchen’s festive vibe, they are popular for their consistently delicious and filling Mexican grub. Their dishes are mainly inspired by the owner’s previous stay in California where Mexican joints are a huge hit. Go there to sample an assortment of dishes with real Mexican flavors such as the Chicken Mole or Wet Burrito. 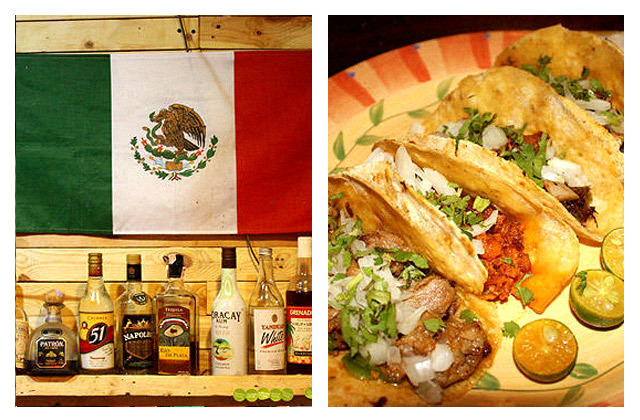 B&T Mexican Kitchen is at Tuscany, Upper McKinley Road, McKinley Hill, Taguig City. 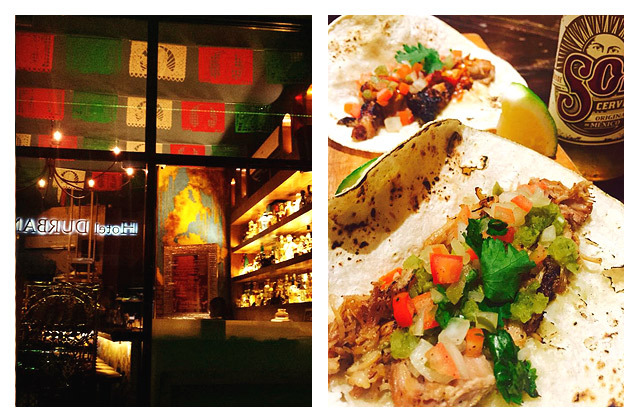 Opened in 2014, A’Toda Madre is the first-ever tequila bar in Metro Manila. Choose from their extensive selection of this alcoholic beverage made from the agave plant to turn up your weekend nights. Murals of colorful hand-painted skulls will greet you in every corner as the restaurant's design takes inspiration from Mexican holiday Dia de los Muertos or Day of the Dead. Besides that, their Mexican fare including tacos and nachos are likewise worth braving the horrendous rush hour traffic. A’Toda Madre is at G/F Sunette Tower, Durban Street corner Makati Avenue, Poblacion, Makati City. 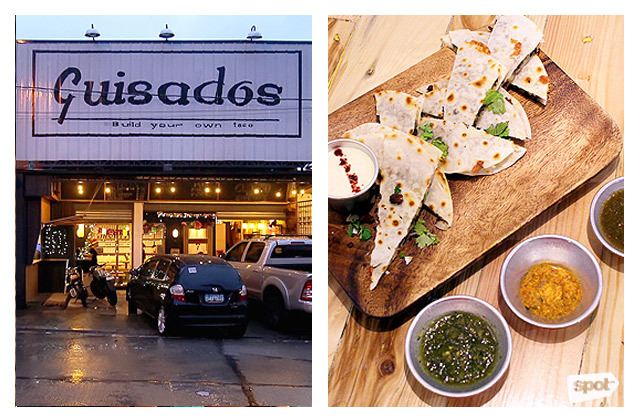 Drive farther up north and you'll chance upon Guisados along the bustling thoroughfare of Congressional Avenue. This Mexican restaurant is among the few of its kind in Quezon City but is also dubbed one of the best in the area. Guisados’ unique take on Mexican food results in a delicious slew of Fil-Mex dishes like the Mexican Chicken Wings and smoky Roasted Pork Belly reminiscent of liempo. Tell your friends! Guisados has branches at 1 Salinglahi Homes, Congressional Avenue Extension, Tandang Sora, Quezon City; and Madison Commons, 1 Brixton Street, Kapitolyo, Pasig City. If the big yellow-painted “TACO SHOP” signage doesn't lure you, then we don't know what else will. 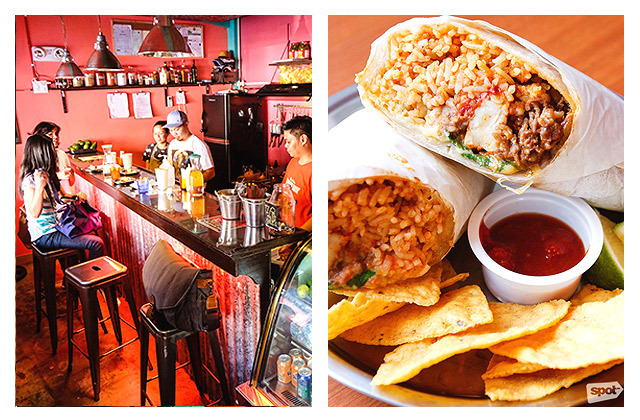 Drive-By Taco Shop is tucked away in the busy foodie street of Aguirre Avenue at BF Homes in Parañaque City. Their affordable price points aren't the only good thing about this place—their tacos are also on point. This small taqueria boasts their thick and chewy soft corn tacos that work perfectly with a variety of meat-based toppings like pork belly, steak, and even goat. Drive-By Taco Shop is at 167 Aguirre Avenue, BF Homes, Parañaque City. 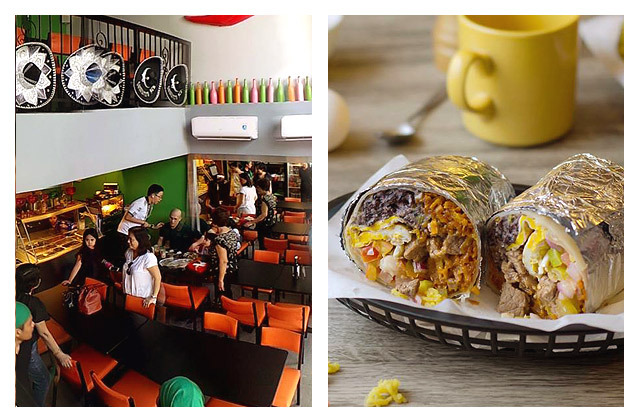 No one is really a stranger to Silantro Fil-Mex Cantina nowadays—the restaurant’s giant success traces back to their modest branch in Kapitolyo which, by the way, still gets crowded even on weeknights. In addition to their delightful Fil-Mex cuisine that’s usually loaded with cheese, perhaps it’s their wallet-friendly prices that put this restaurant in the mainstream. Maybe it can also be their undemanding aura that makes you want to stay until the wee hours of the morning. Who knows? Nevertheless, people will always have a soft spot for Silantro and their no-fail fare. 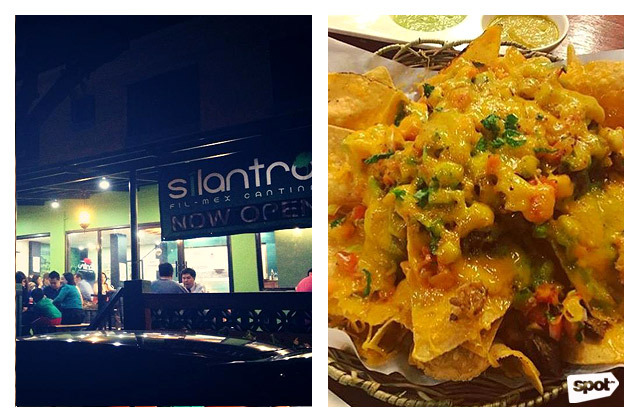 Silantro Fil-Mex Cantina has branches at Kapitolyo, Pasig City; UP Town Center, Katipunan Avenue, Quezon City; and Alabang Town Center, Alabang, Muntinlupa City.